Best selling dropship fashion jewelry, diamond jewelry, costume jewelry, body jewelry, tongue rings, charms, rings, necklaces all drop shipped directly to your customers. 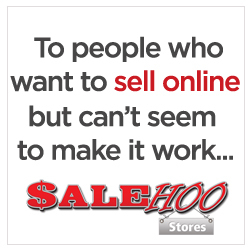 Over 4,000 wholesale cell phones and cellular accessories. New wholesale lots added daily. We manufacture wholesale jewellery that is made of precious and semi precious stones, swarovski crystals, austrian crystals, sterling silver and oxidized silver that gives a stylish antique look. Offering over 7000 Sterling Silver and 8000 Gold Items from their online catalogs, 24 Karat Store is operated by Basic Internet LLC, licensed to import/export, distribute and sell jewelry and general merchandise. Offerings range from assorted gold, bangles, bracelets, chains, earrings and pendants to rings. Cocoon House offers unique, fine silks and accessories to its customers. Cocoon House also features handmade beaded handbags made from the finest silk grown in the small co-ops in the heart of China\'s silk producing region. Comstock Creations, Inc. is a leading wholesale manufacturer of fine pewter figurines and fine pewter jewelry. Health food SHOPIFY dropshipping website megastore over 500+ products! Browse nearly 2,000 wholesale DVD lots. Wholesale lots consisting of DVD and VHS movies. Find jewelry affiliate programs to earn even more. Need Help? Hire a Freelancer.